We are looking for an experienced iOS Developer who will join a strong mobile team located in our Warsaw office. The team builds consumer facing mobile applications for Android and iOS ecosystems that are deployed globally. Building state of the art mobile iOS app in the field of opinion data. Being a part of an innovate team and will help to release our app in more and more countries. Supporting the mobile team in daily challenges. 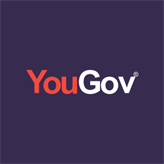 Being responsible for technical design, architecture and implementation of YouGov iOS applications. Building our applications in a robust, clean and manageable way. At least 1 year of commercial experience in mobile app development and testing or equivalent. Strong knowledge in iOS ecosystem and development. Strong programming skills with Swift. Proactiveness, strong ability to self-organise and self-manage. Ability to focus on what you do best. Stable employment at a global company. Fresh fruit, coffee and cool beverages. Private medical insurance, MultiSport subscription.